These are pretty funny and perfect for the stocking! 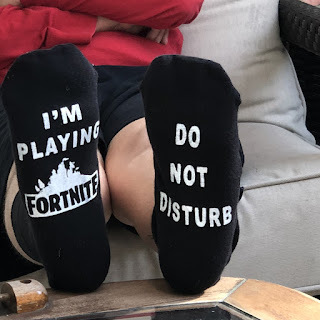 Do Not Disturb Fornite Socks $5.99 (Retail $14.95). $2.99 for the first item and $0.99 for each additional item. US only. Seller usually ships within 5 business days. Ships no later than Fri, Dec 7.